Google has a review problem. When I help clients with SEO, if they already have – or could benefit from having – a Google Map listing (a.k.a. a Google My Business listing), I help them with the presentation and optimisation of that, too. One element of that is the ability for customers to be able to leave reviews. For a business that works hard to give its customers a good service, it can be a fantastic way to stand out from the competition. I often encourage clients to try and get Google reviews from their happy customers – in a way that abides by Google’s guidelines. However something that I’m finding is becoming more and more prominent is the phenomenon of fake – maybe even ‘incorrectly-given’ – reviews. This blog’s most popular ever post is about how I managed to remove a fake and libellous review from my parents’ business’ Google listing. We (mostly) got lucky because the review’s text said some very nasty things that were very obviously against Google’s review guidelines, but where the whole Google review removal process gets messy is when the text is ambiguous (i.e. it could be a customer or it could not be, and it doesn’t conflict with Google’s review policy either way) or if no text is left against the review at all. 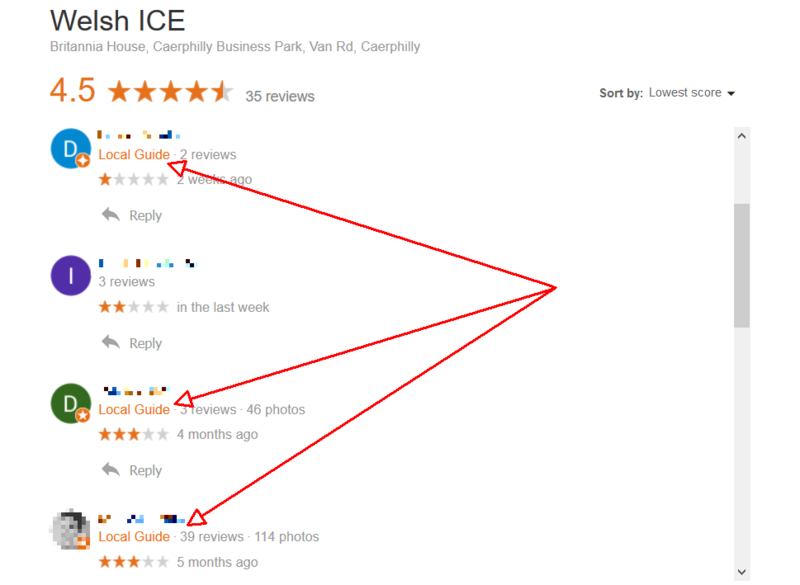 One of my clients (and also my business’ home) – Welsh ICE – gets fantastic reviews. They consistently get 4- and 5-star reviews from people who we know are members and have used their facilities. …But then, all of a sudden, a few months back, they got a 3-star review with no text against it. And then another one – 3 stars, no text. And then a 1-star review with no text. When I asked Jamie & Rachel – who are involved with running ICE and looking after its community – if they knew who these people were, they said no. The reviewers (to the best of their knowledge) had never used ICE. They all had the ‘Local Guide’ tag next to them. I’ve been in SEO (and Local SEO) for a while, and while I’d come across Local Guides before, I hadn’t really paid much attention to it – so I did some research. 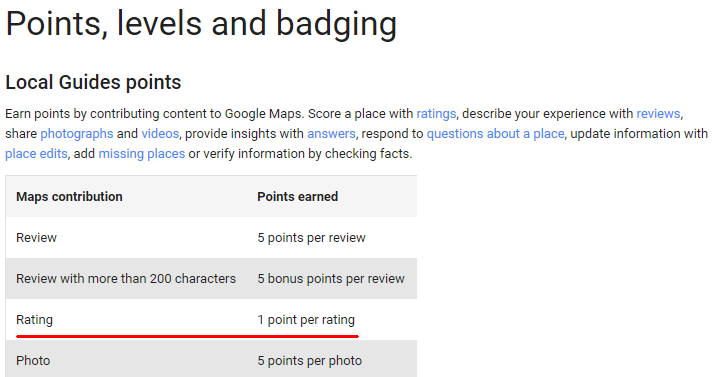 It’s a way to contribute to Google Maps – most likely rising from the ashes of the death of Google Map Maker, which I’d used previously (with limited success – but that’s an aside). 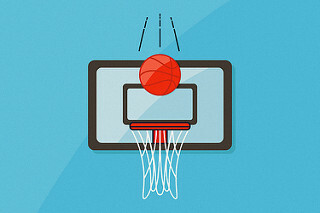 What’s more is that it’s gamified: contributors can earn points and badges, and can ‘level-up’. …Which I’ve screenshot, just in case the page gets taken offline in the future. Of course, Google’s Maps User Contributed Content Policy states that “contributions must be based on real experiences and information” – but here’s the thing: how can anyone prove or disprove that a review was based on a real experience? Given that Google are incentivising Local Guides by offering them a Google Play discount, what’s stopping Local Guides from randomly leaving random reviews/ratings in order to get points, including businesses they’ve never even dealt with and/or places they’ve never even visited?! 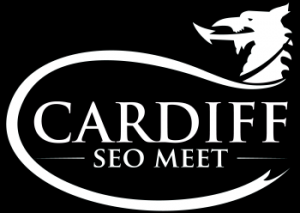 Cardiff SEO Meet is Looking for a New Venue for 2018! New year, new venue. After three events in 2017 at Tramshed Tech, it’s time for a change… Cardiff SEO Meet is looking for a new venue for its events in 2018 and beyond. I have somewhere in mind, but I’d like to keep options open and get a ton of suggestions to consider. Something like a function room in a bar would probably be our best fit, however another possibility could be an office premises, say if they also host events there… So long as the above criteria are met really. We have sponsors, so there’s a budget, meaning that the venue hire doesn’t necessarily have to be free/cheap… however if the venue is open to becoming an event sponsor in return for a reduced rate then that’d be fab. Perks include a logo and a link on the Meetup group and on the event page of each event (here’s an example of an old event page), mentions in tweets before/during/after the event, mentions/links in the emails that go out to meetup subscribers (380+ people as I type this), and probably a whole bunch of other stuff. There’s also the fact that the venue will be seen by 30-50 people each time (I’m hoping to ramp this up next year) – one of our past venues commented that everyone who came to the event was a fresh face who had never visited before, so 30-50 new customers essentially. Let me know! You can leave a comment below, email me, tweet me or @CardiffSEOMeet, or sign up to the Meetup group and message me on there. Cheers! Sponsorship for Cardiff SEO Meet isn’t really that big a thing. 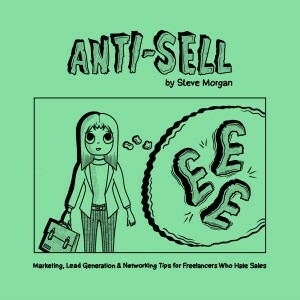 For the first three events, there weren’t any sponsors – I paid for it myself (well, Morgan Online Marketing paid for it, technically). But then our first venue was a bar, where people could buy their own food and drink if they wanted to. When we moved venues to somewhere where I needed to provide my own food and drink, the costs shot up. I wanted to keep the entry fee free, so I couldn’t recoup money that way. Therefore I knew that I’d need sponsors to help cover those costs, and a few people I know were happy to oblige. It’s simple: for £100, your sponsorship goes towards food & drink costs. In return, you get a link from the Meetup group and event page, a mention in the announcement email that goes to all of the group’s members, various tweet ‘shout-outs’ before and after the event, your logo on the absolutely massive screen, and a couple of shout-outs/thank you’s at the event. In my eyes, that’s a pretty decent deal. We get about 40-50 people to each event, which isn’t especially a huge number, but it’s not tiny either. The Meetup group has over 300 members as well. So far, most of our sponsors have been local (and local-ish) freelancers, agencies and fellow event organisers – I’ll list them here, as I want to thank them again for their support to date: HQ SEO, Cardiff Digital, Xanthe Studios, All Things Web® and Traffic Jam Media (and not forgetting Tramshed Tech for being our venue sponsor). I casually joked with someone though that it’d be awesome if one of the big global SEO software providers expressed interest in becoming a sponsor. Weirdly enough, a few days later… one of the big global SEO software providers expressed interest in becoming a sponsor. They sponsor a lot of the bigger events worldwide, and (somehow) my piddly little meetup had gotten onto their radar. I was elated. But I ended up turning them down. A few weeks ago I received an interesting enquiry from a local designer, who does a lot of design work for musicians. Given that I’m a proper music fanatic, I was really excited at the opportunity to potentially work with him and his clients. He asked me for my hourly/day rate, and although I stressed to him that I quote on a per-project basis depending on what I think is required to do the job, I gave him a rough idea of how much I usually charge. We discussed a potential small one-off project (which sadly fell through shortly after discussions began, as his client backtracked on wanting SEO work done), and then he suggested that I work on a pet project of his instead. However when he brought up the latter project, he explained that when he told his team about me, they “freaked out slightly when [he] mentioned [my] rates!” Hmm. I replied saying something about how we could price it based on their budget rather than my fee, if that was easier – and I left it at that. It was quite a weak and timid response, looking back at it now. I’ve yet to hear back. Ever since I sent that last email, I’ve been kicking myself. Sure, the “your prices are high” reveal could just be a ruse to try and get me to lower my prices. Or it could be the case that his team doesn’t value or ‘get’ the cost of SEO. 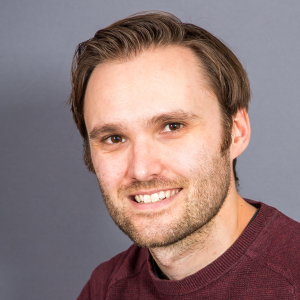 I don’t think I charge exceptionally high prices (I know a few SEOs with less experience who charge about the same), and given that he’s a designer – and probably gets people raising their eyebrows at his prices – I’m surprised he’s surprised (if that makes any sense)! I could’ve told him that I’ve been doing SEO full-time for over 8½ years (since early 2009). And that I’ve worked at two agencies locally as well as for Confused.com as part of their in-house team. And that I’ve been blogging for over 5 years and that this humble SEO blog has been a finalist in the Wales Blog Awards as well as the UK Blog Awards for three years running. And that I’ve written guest posts for Moz’s blog, which is widely considered to be one of the best SEO resources in the world. And that one of my campaigns – which I spearheaded single-handedly – was a finalist in the UK Search Awards 2015 for two awards (and that I believe I was the only solo consultant/freelancer to get shortlisted that year). And that I have a bunch of very happy clients on MOM’s testimonials page, many of whom are also on my Linkedin profile as recommendations, meaning that they’re genuine and not simply made up. And that I’ve spoken at one of the biggest SEO conferences in the UK – not just once, but twice – and have a bunch of other speaking gigs under my belt as well. To be fair, I hate to brag – and the paragraph above feeling like one full-on braggy braggathon. Ych a fi! …But I could’ve left it with him to think about. Did he think my rates were too high because he didn’t know too much about me? Would he still think they’re too high now that he knows all of the above? I guess I may never know – but next time I’m gonna try this approach instead. The moral of this story? 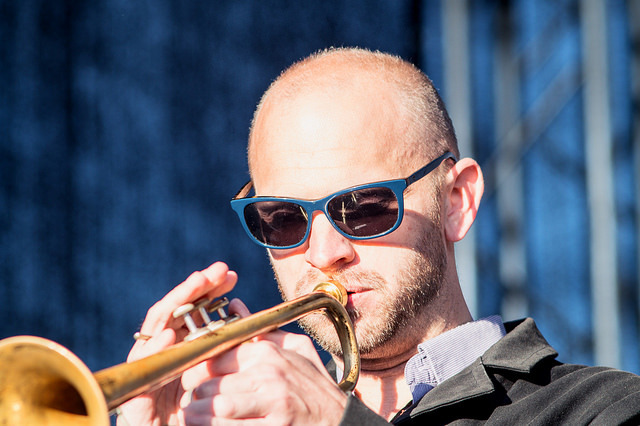 Don’t be afraid to blow your trumpet once in a while. The next time I get chance, I’m gonna blast the hell out of the damn thing.